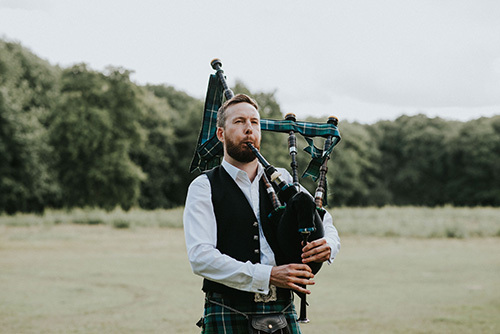 The London Bagpiper has been playing the Great Highland Bagpipes since he was 10 years old and through-out his piping career he has played as an individual solo performer at multiple events across a wide range of platforms. He has performed at prestigious venues such as the Royal Albert Hall, Hampton Court Palace, The Intercontinental in Mayfair (Ldn), Saxon Hall, Birkbeck University, Sony Pictures and plays regularly on the Great British Pullman steam train (otherwise known as the 'Orient Express'). 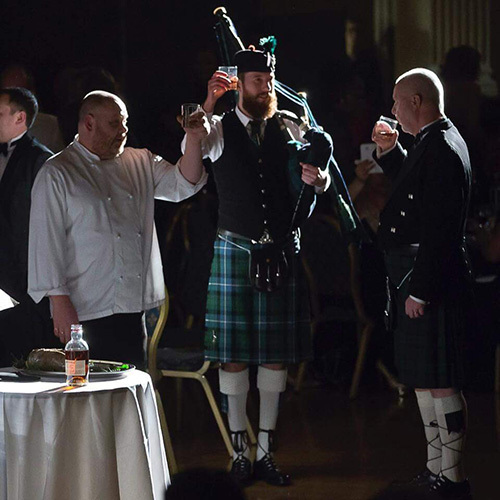 Furthermore, The London Bagpiper has played for weddings at Horsley Towers, Horsted Place, Leeds Castle, Saddlers Hall, and Burns’ suppers for Panasonic, Mecca Bingo, Grosvenor Casino and Howling Hops Brewery etc. 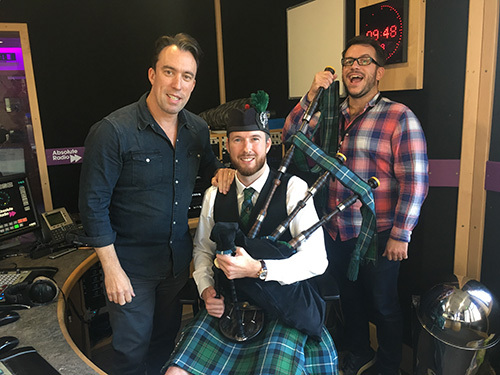 The London Bagpiper has appeared on a range of well-known TV and Radio programmes, from Chris Evans’ Breakfast Show on BBC Radio 2 and Absolute Radio, to Made in Chelsea and The Last Leg: Correspondents. He has also featured as a session musician with Right Said Fred and for Walkers Crisps, and has performed with The Chieftains, and the international bestselling classical group, Il Divo. The London Bagpiper is an accomplished skilled professional, highly versatile and flexible in his approach. He always works with his clients to ensure that every performance delivers the right impact for the intended audience. Burns’ Suppers are a well-known Scottish celebration. There main purpose is to celebrate the life and birthday of poet Robert Burns who blessed Scotland with his poems, songs, and stories over 250 years ago. A Scottish inspired bagpiper compliments the day superbly and gives the evening a traditional ambiance. The haggis should not be brought to the table other than to the sound of the Great Highland Bagpipe! 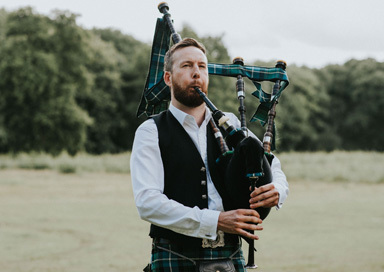 The London Bagpiper has worked with a range of leading corporations including Channel 4, BBC One, BBC Radio 2, Absolue Radio, Sony, RadioTimes, Burberry, Walkers, Panasonic, Flybe, Belmond, Marie Curie and many more.